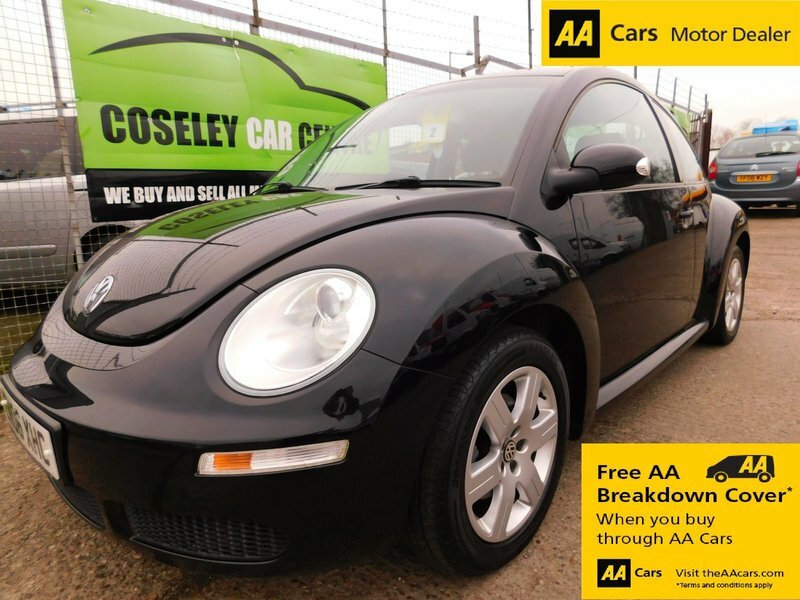 HERE WE HAVE AN ULTRA LOW MILEAGE BEETLE 1.4 COMING IN GREAT LOOKING 'LUNA' SPEC WITH SHINY BLACK PAINTWORK. THERE IS A SERVICE HISTORY SHOWING 5 SERVICE STAMPS IN THE BOOK AT PDi, 2K, 5K, 24K, 38K PLUS A CAMBELT CHANGE AT 23K. THE SPEC INCLUDES ALLOYS, REAR PARKING SENSORS, CD PLAYER, CENTRAL LOCKING, ELECTRIC WINDOWS etc etc. THERE ARE 2 REMOTE KEYS, A FULL BOOKPACK, 3 MONTHS UPGRADEABLE WARRANTY AND 12 MONTHS FREE AA COVER AS STANDARD.